At Power Construction Group, Integrity is the Foundation our company was built on. Integrity, Reliability, and Accountability all form the CORE values at Power Construction Group. Our History of Excellence has thrived due to the constant focus on these CORE values. 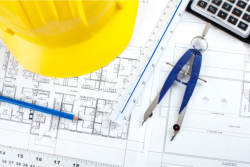 Power Construction Group is General Contractor out of Dallas, Texas. In collaboration with a team of experienced Architects, Engineers, Designers and Construction Professionals, the company has established a reputation for outstanding architectural design and superior quality. Power Construction Group is consistent in its continued education in the construction industry. We are always in the search of new materials and new ways to innovate as a team. We seek out the best subcontractors and quality material suppliers who have the same vision and mission with us. To ensure these values we handpick our contractors and vendors, keep strict guidelines, constantly monitor the quality, and maintaining a hands-on approach.